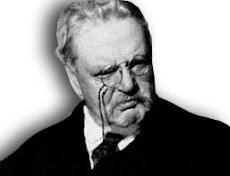 G.K. Chesterton said that one should "never let a quarrel get in the way of a good argument." He followed his own advice when he had bracing but loving arguments with his brother Cecil, which continued from the time they were children. Nowadays, it is far too easy for an argument over rival ideas to degenerate into a quarrel. I saw this recently in a discussion about Distributism among a group of traditionalist Catholics. 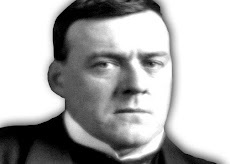 It became increasingly sharp-tongued when those who advocated Chesterton's and Belloc's ideas were denounced in favor of Capitalism. The epithets came fast and furious. Distributism was dismissed as "utopian" and the other usual tactics, but there was one charge that stuck in my craw: a respondent claimed that Distributism was just "Marxism with a rosary." A rather gross misrepresentation, but unfortunately quite typical from those who defend Capitalism against Socialism and assume that anything that is not pure Capitalism reeks of Marx. Chesterton said that perhaps the worst thing about Capitalism is that it has achieved all the things that Socialism set out to do: "It is all very well to repeat distractedly, 'What are we coming to, with all this Bolshevism?' It is equally relevant to add, 'What are we coming to, even without Bolshevism?' The obvious answer is—Monopoly. It is certainly not private enterprise." This is why we Distributists oppose Marxist Socialism as much as Capitalism and Fascism. But for the sake of argument, and not quarreling, indulge me while I explain the differences between Marxism and Distributism. Marxist Socialism believes in centralizing the means of production and distribution into the hands of the government, as well as all decisions relating to politics and social matters. It is opposed to the very idea of private property. Marx's Communist Manifesto includes the phrase, "from each according to his ability; to each according to his needs." Who would decide who has the ability to do what, and who needed what? The government. Marxism and most Socialist philosophies put more power into the hands of central government. But as Chesterton notes, it still favors the trend toward monopoly nonetheless, only with big government holding all the cards rather than big business. The average man is simply "one of the masses," just a unit of production that can be replaced if it goes "counter-revolutionary" or "deviationist" at any time. Further, like Capitalism and Fascism, Socialism has a materialistic core to it, a belief in the utmost importance of the things of this world. It operates under the assumption that life on this side of the grave is all there is. Religion is an enemy to the system, lulling people away from responsibility, an "opiate of the people." Socialism tries to direct man's inherent religious energy to the substitutes offered by the government, whether it be in the Leader, the Party, the State, or Humanity itself. But Distributism does the opposite. It believes in personal freedom and in de-centralizing political power into the lowest level possible. (Subsidiarity is one of the core principles of Distributist thought.) It also holds that private property—especially private productive property—is not evil in itself. But it needs to be widely distributed to as many as possible. In the practical sphere, that means breaking up the big conglomerates running and ruining our economy, as well as cutting the size and power of big government from the bottom-up. Further, Distributism knows that materialism is no substitute for the love and light of God Almighty and obedience to His holy laws. As C. S. Lewis, who was greatly influenced by Chesterton's works, noted, "Whenever you find a man who says he doesn't believe in a real Right and Wrong, you will find the same man going back on this a moment later." During these days of continual big corporate buyouts and mergers, as well as constant expansion of big government power and loss of freedom under the guise of "fighting terrorism," it is vital to teach people what Distributism is about. It is just as vital to show them how it isn't some form of Marxist tripe. 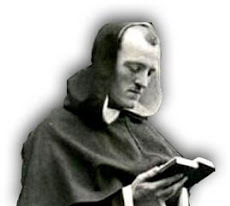 Calling Distributism "Marxism with a rosary" is as silly as believing in "dry water" or "flaming snow." Do anything, however small, that will prevent the completion of the work of capitalist combination. Do anything that will even delay that completion. Save one shop out of a hundred shops. Save one croft out of a hundred crofts. Keep open one door out of a hundred doors; for so long as one door is open, we are not in prison. A hundred tales of human history are there to show that tendencies can be turned back, and that one stumbling-block can be the turning point. The sands of time are simply dotted with single stakes that have thus marked the turn of the tide.